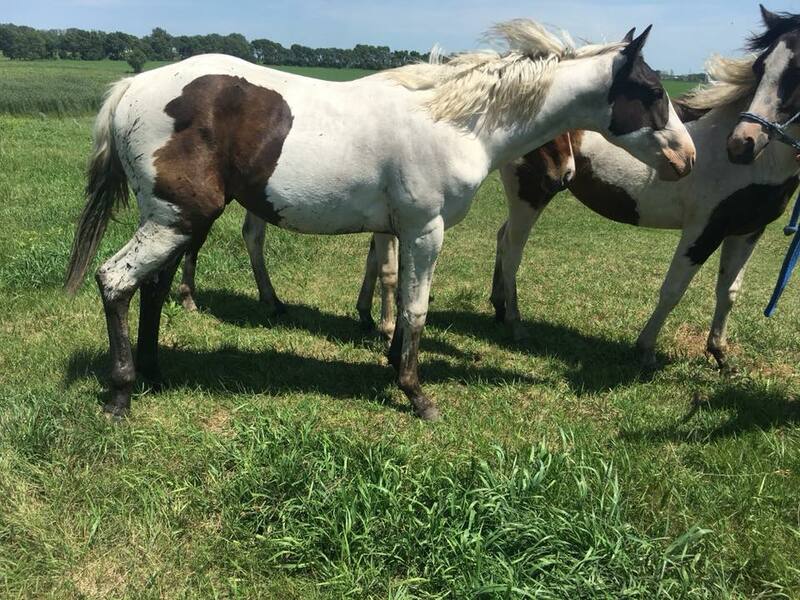 Black and white gelding. Both parents are homozygous. Dark eyes.